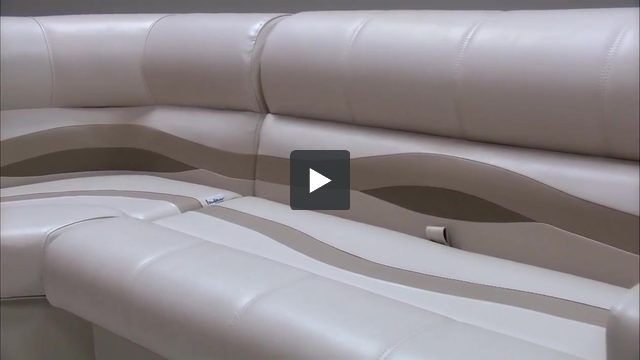 Plush, pillowed pontoon boat seats with quality double top stitching for that new boat look. 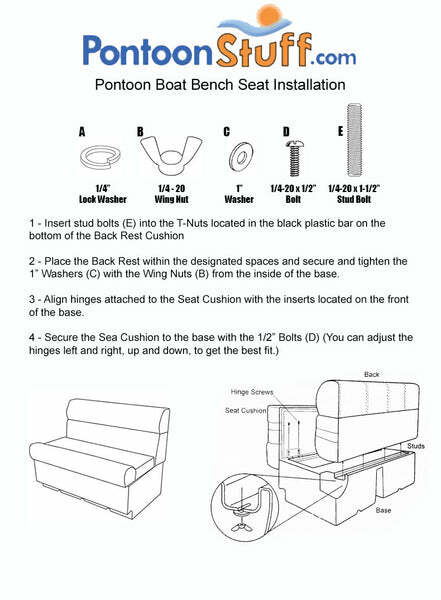 These pontoon boat seats make up our Premium PG1580 pontoon furniture set. Unfortunately no, we only have the Gray/Blue/Charcoal furniture with a gray main color. We have an Ivory and Teal color option in our Classic pontoon furniture but not the exact colors you are looking for. I apologize we cannot be more helpful and thank you for the opportunity. Do you have tan/beige color in CG1816 configuration? Also, do you have live well seats? What about applying vinyl over carpet? Unfortunately our tan/beige color is only available in our premium line of pontoon boat seats. We are actually working on new livewell inserts that will drop into the seat bases on our pontoon furniture at this moment. You'll be able to turn any seat into a livewell and we will have kits also available with all the plumbing, wiring and the pump. We won't have it ready for another few months though as we are currently in the process of building the molds for the new livewells. As far as applying vinyl over your existing pontoon carpet... I'd recommend against doing that. The carpet will eventually deteriorate and rot away under the vinyl and I just don't know what that will do the vinyl itself. The old glue may interact with the vinyl flooring also. Just seems like a risky move as you'd need to tear everything apart again to redo the floor. Removing the carpet is one of the hardest parts so I don't blame you for trying to find alternatives! Thank you for the opportunity!